There are few adrenaline-inducing activities more exciting than soaring through the air on a zip line. Unless you take the plunge and go skydiving, zip lining might be the closest you’ll ever get to flying, and anyone who’s gone before knows it’s pretty exhilarating. If you haven’t, don’t worry. Whether you’re a teenager or pushing 80, zip lining is accessible to everyone, and that’s probably one of the reasons it’s been surging in popularity. Whatever your level of experience, these are the most epic zip lines around the world you need to check out. Located atop the UAE’s tallest mountain in the emirate of Ras Al Khaimah, the Jebel Jais Flight is the longest zip line in the world. It will allow you to soar 5,511 feet above sea level, up to 93 miles per hour, across a line that spans 1.7 miles — that’s approximately the length of 28 soccer fields. You’ll be suspended in midair for about two to three minutes, before being transferred to a second line that will bring you back to the ground. Making the flight even more dramatic, you’ll be surrounded the whole time by desert and some of the UAE’s highest peaks. The Jebel Jais Flight costs about $115 per person. 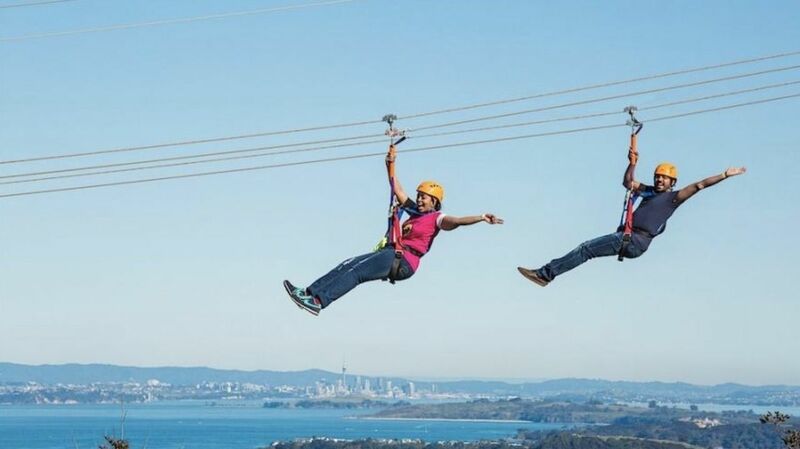 Whether you’re not entirely comfortable zip lining alone or just want to share the experience with a friend, head to New Zealand to check out this dual zip line on Waiheke Island, just off the coast of Auckland. Operated by EcoZip Adventures, these side-by-side zip lines are over 650 feet long, and offer a series of breathtaking experiences. The first allows you to fly over a vineyard, with the volcanic Rangitoto Island in the distance. The second gives you an incredible view of the Auckland skyline, taking you above the treetops. The third is defined by views of vineyards and the eastern beaches of Auckland, bringing you along at speeds topping 31 mph. When you sign up, you’ll get to experience all three. Tickets cost around $82 for adults, with a family pass available for $232. There are many ways to experience the rugged wilderness of Alaska, but getting a sweeping view of the remote landscape from above is certainly one of the best. Located just outside the small village of Hoonah, Icy Strait Point is on Alaska’s Chichagof Island. The ZipRider experience begins in Hoonah, where customers are driven six miles up the mountain to the zip line. The one minute, 5,495-foot ride takes you over the dense forest canopy, with panoramic views of Port Frederick and the surrounding islands. There are six lines, so up to six riders can fly across the strait at once, reaching speeds of up to 65 mph. Depending on the season, expect it to be relatively cold, so dress accordingly. Prices start at $139. Costa Rica is pretty well-known for its zip lining excursions, but with so many options, it’s hard to know which one to try first. 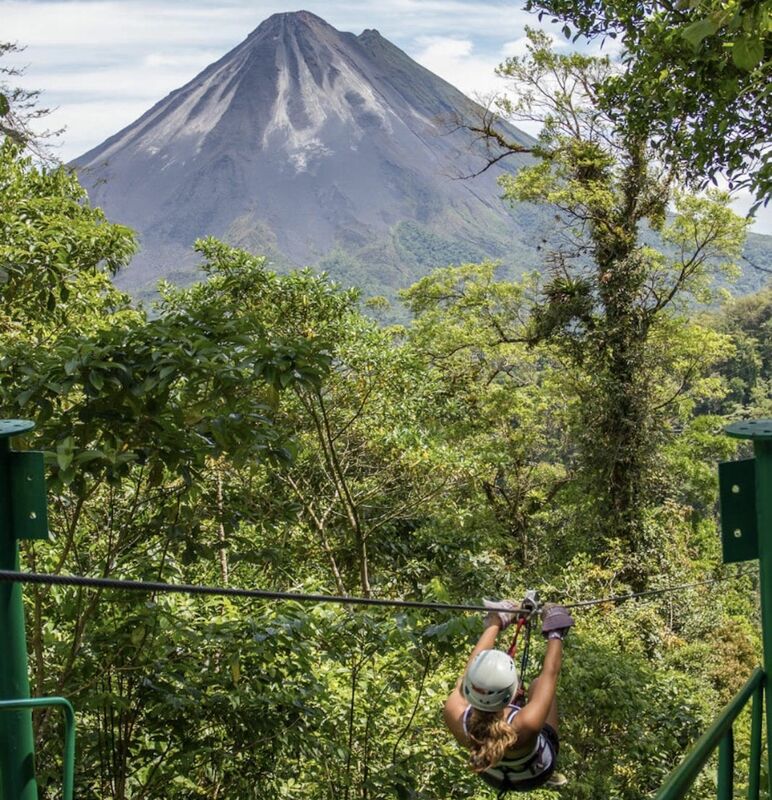 Let’s be honest, zip lining in Costa Rica will never be a letdown, but soaring alongside an active volcano might be too epic to ignore. On the Sky Trek tour, you’ll take a tram to the top of the volcano, and ride seven separate cables that bring you from one mountain to another. Cables are as long as 2,460 feet, and you’ll be riding at speeds of up to 43 miles per hour as you take in the views of the rainforest and canyons below, and mountains in the distance. Tickets cost $84 for the two-hour experience, and you can book a tour online. Everyone knows Nepal as the home of Mount Everest. But if you’re not exactly up for braving one of the most dangerous mountains in the world, that doesn’t mean you can’t still get stunning aerial views of the country’s ancient, natural landscape. 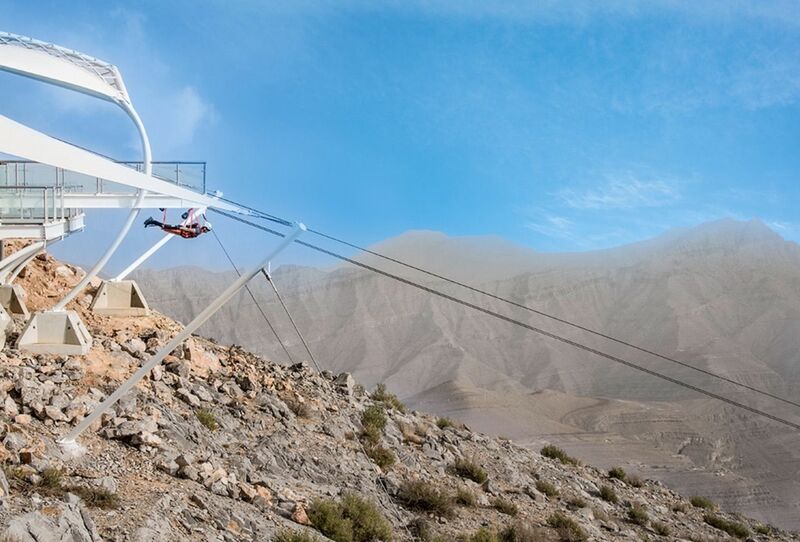 The Zipflyer line is one of the highest zip lines in the world, with a vertical drop of 1,968 feet. 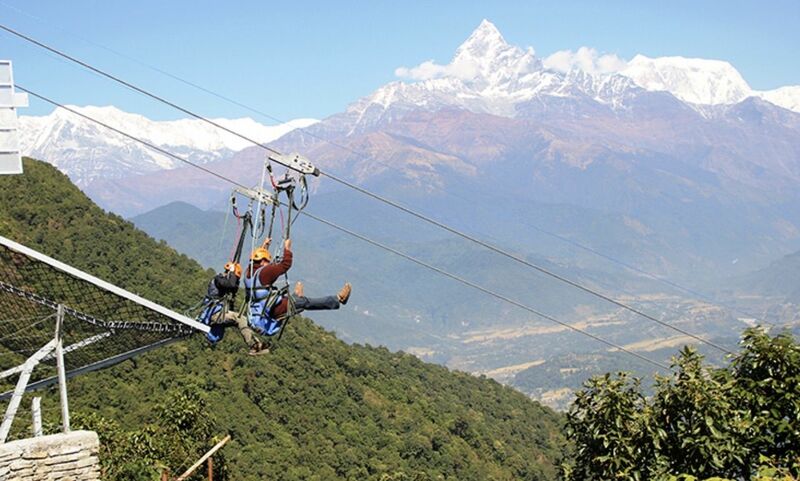 The ride will take you on a two-mile journey down the mountains of Kathmandu, at over 70 miles per hour. No, it’s not the view from the top of Everest, but it’s still pretty stunning. As you soar over the green valleys below, you’ll be surrounded by snow-capped mountains. This is truly an exhilarating way to see one of the most remote and beautiful countries in the world. Rides start at $78 per person and can be booked online.